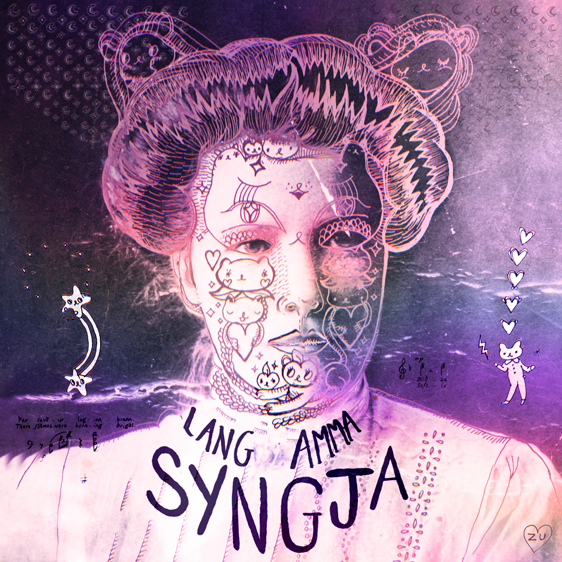 Syngja‘s gorgeous debut LP Lang Amma is available now directly through Art Not Love, iTunes, and Google Play. Get it here and receive an exclusive 13-page digital art-book featuring lyrics, and expanded artwork from Zuzu Knew! We’ve been working with Syngja on their debut album Lang Amma for probably forever, check out the official announcement via Exclaim! and hear their re-imagining of Katy Perry’s Hot N Cold. Syngja launches Lang Amma at the prestigious Rialto Theater in Montreal on May 19th, backed by an 8-piece ensemble with live analog projections by Zuzu Knew. Tickets to the one-time performance are available now at Phonopolis, l’Oblique, and through Ticketpro.ca.